How does the greatest melt in history have the thickest most persistent sea ice here? 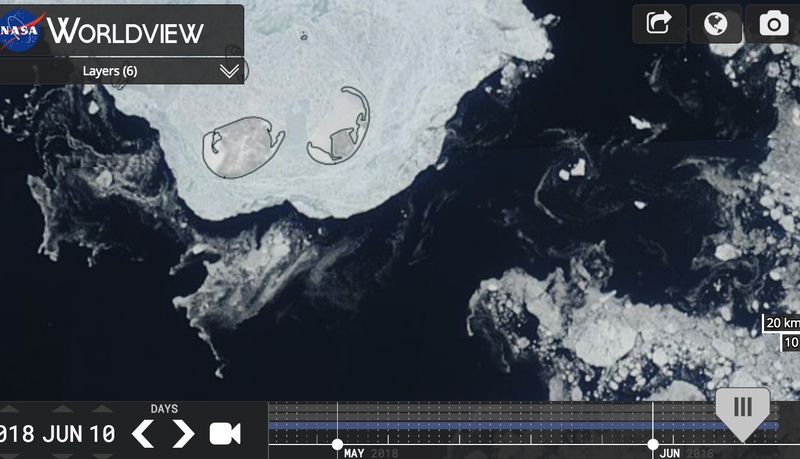 It simply was a matter of the gradual degradation of sea ice year by year... 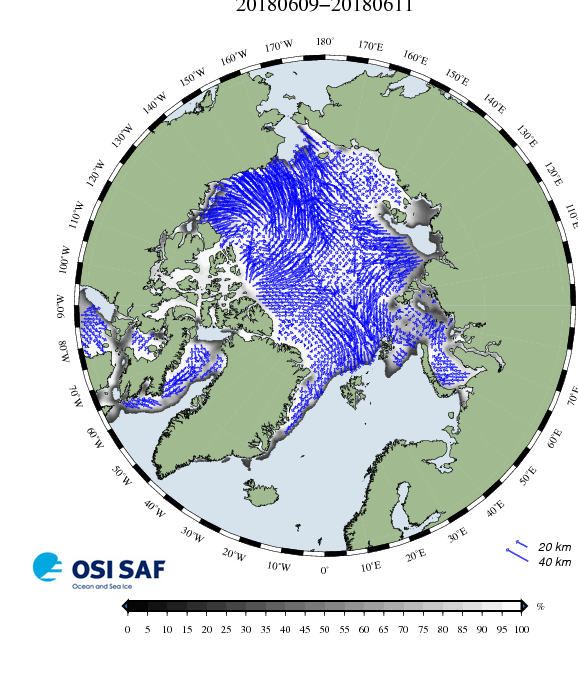 Which is part and parcel with the ongoing thinning of sea ice process, therefore since 2012, the overall sea ice of a huge area of the Arctic has had less volume even with similar extent, namely from two processes, more surface snow and warmer temperatures. At Lancaster Sound, the winter of 2018 had large positive temperature anomalies until mid February. June 15-16-17-18-19-20-21-22. Not long ago on June 15 2018, sea ice in Lancaster appeared rock solid but was in fact very fragile, extent of roughly 50,000 km2 sea ice is currently in the process of disappearing in a matter of a few days. ~This of course distorts 2018 extent numbers until much further melting likely requiring less solar energy. 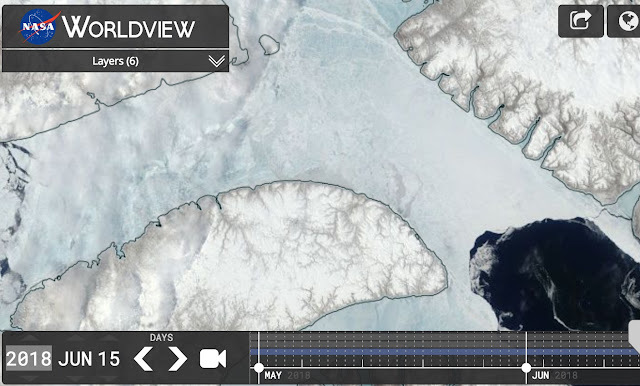 June 14 to 22 2012, note the rather unison movement of the sea ice towards land. As opposed to 2018 same period, with strong clockwise motion. 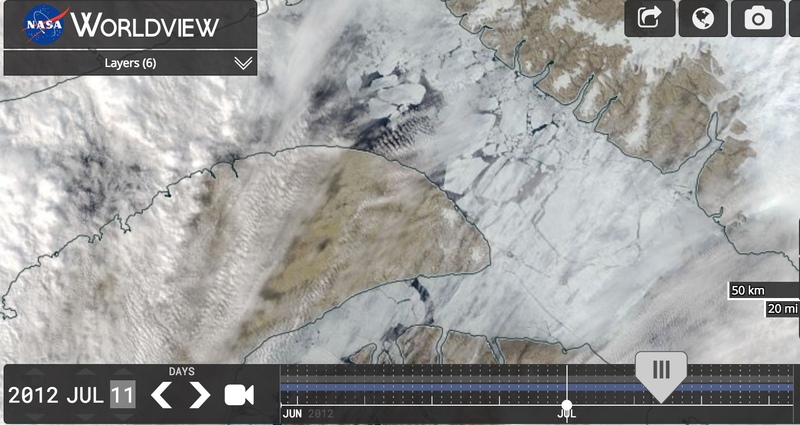 Note encroaching broken up sea ice over the already exposed dark sea water next to shore. This obviously increased extent all while there was no new ice made. This exposes the problem of the 15% extent rule, largely dedicated for a long gone Arctic Ocean ice architecture which did not collapse from within. 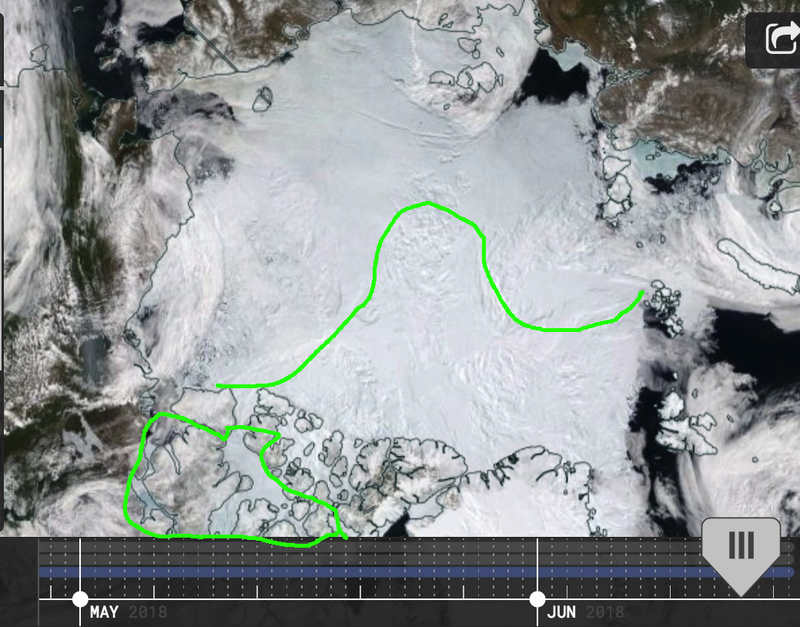 Extent wise 2012 appears to have more open water but 2018 has far more surface water within the main sea ice body. Greater motion adds to extent as well, but also pulverizes the sea ice pans more. The difference here between 12 and 18 will be made more apparent when greater melting continues, it seems obvious that one year had less intra collisions (2012) than the other (2018). This is the difference to consider, a more fluid pack interspersed with water is also more capable in dispersing sea ice in the wider open zones, in effect increasing apparent extent numbers, until what would eventually appear to be a near spontaneous melt down, apparently sudden from all the crushing action transforming uniformly reflecting solar forcing vast sea ice canopy to a partial pulverized slushy mix. 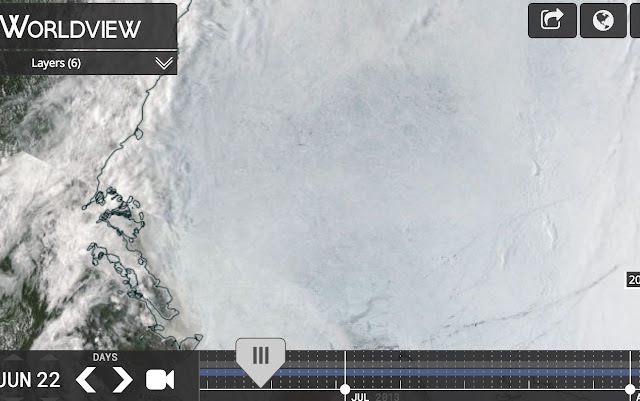 We know the long term results from this kind of ice structure, it will lead to lesser melting come sea ice minima. This is not the case in 2018 and was not so for 2012. 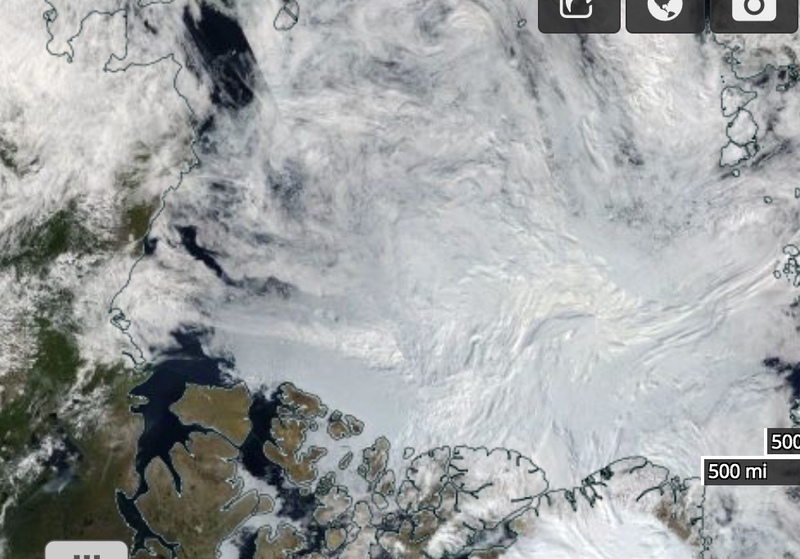 Sea ice largely melted in place, unlike 2018 which is already broken up. It is now a matter of cloud coverage (which dominated in 2013), if similarly less as of 2012 season, 2018 has a good chance of surpassing the all time lowest extent record. But clouds should persist till beginning of August, again mimicking since 2012 a new summer cloud-scape caused by thinner sea ice and a different circulatory system. 2012 June 1-9 bullet shaped ice pan moved 5.6 nautical miles a day. First we find ESA Maxima picture of the icescape. 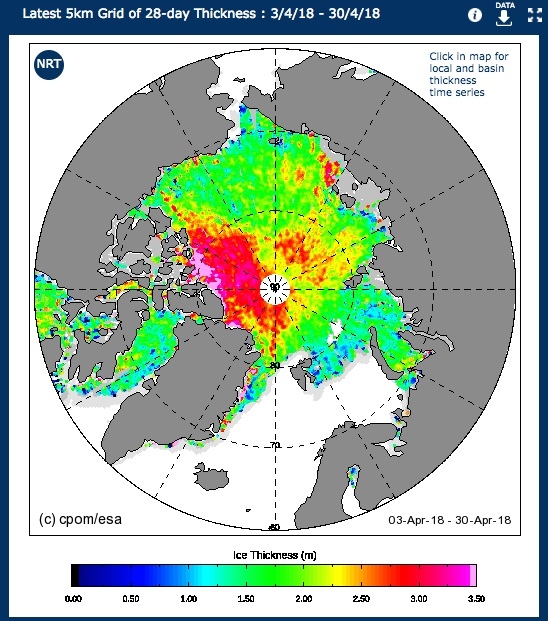 It seems all the Arctic Ocean changed colour, however basically where there is greater surface melting there is a stronger greening, caused by water ponds, closely outlining the thicker sea ice areas. Ice having a colder core temperature allows top of snow to further resist melting surface temperatures, top of snow temperature is a reflection of sea ice core minimum. We can see here the rough outline of beginning of August open water limits, deeply influenced by thick ice in great part created by Gyre circulation compaction. Along North of Russia 2018 has a greater ongoing melt , despite 2012 and 18 deeper greening being similar, but with 18 having more open water, one must factor the clouds as having an impact over true colours. 2012 can be recognized by next to Wrangle Island open spot. Kara sea ice is disintegrating rapidly not only because the sun is melting it like crazy, but rather a mix of ripe conditions, namely its ice is mostly very thin, especially with a lot of snow on it, but winds and current were not able to blow it away until today, so thin ice is not as fragile as thought and can easily be broken all at once, not especially detectable from close or afar, even from space, especially with snow layers . Only Inuit hunters are best at detecting, because there is a hundred words for snow in Inuktitut the language of the Arctic, snow surface structures may define what it covers. (NASA EOSDIS June 1-8 2018). 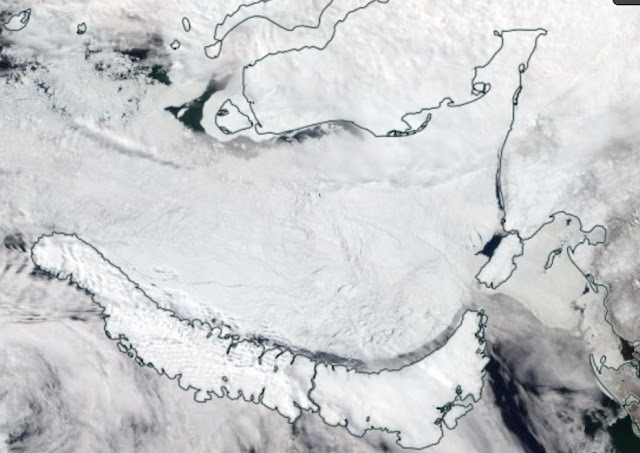 Other side of the Pole in the Canadian Arctic Archipelago, April 2 to 9 2018, a massive chunk of ice disintegrated at the entrance of the Northwest passage, Lancaster Sound, quite unusual to see Lancaster filled with apparently solid sea ice, a few times in the past , during the coldest years it did so, the last severe Lancaster Sound full coverage had thicker sea ice surviving till mid July 1987. 2018 is not 1987, has illusions of such, February March 2018 had very cold favorable for rapid new sea ice formation, I estimate most of Lancaster sea ice to be lesser than 80 cm though , there is a lot of snow on it, giving the impression of thick sea ice, this snow reduced accretion. 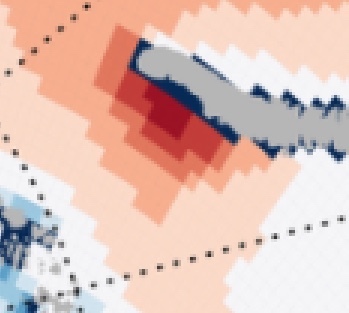 But here is the illusion which will unravel when the structure of compacted hard snow gets pummelled by warm sublimation and under snow melting, along with tidal and winds severe stresses, large chunks of Lancaster ice will disappear in a matter of a few days. Cohesion of thin sea ice is remarkable, but ultimately fails in apparent massive extent events. ~Temperature is key , now Arctic Cyclones are colder than High pressures. 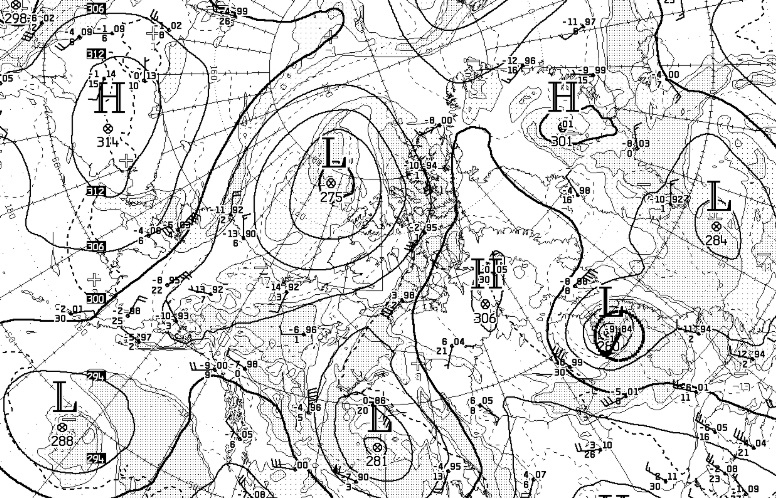 CMC June 12 2018, with a High now over Baffin and a low over the Arctic Ocean Gyre, in between is the CTNP vortex, the pressure scene has SWITCHED , offering some hope for sea ice with extra cloud cover. 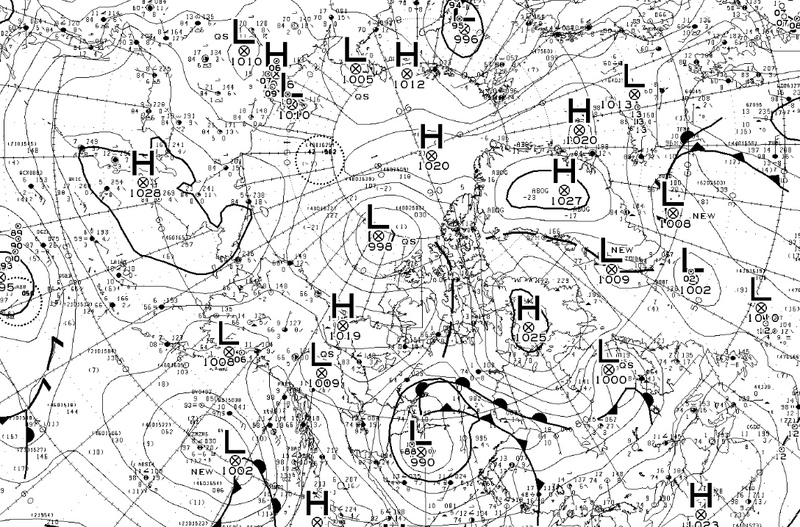 What separates the High from the Low is a cold upper air zone not measured in a significant density grid manner. 700 mb temperature and pressure heights CMC June 12, 2018 1200 UTC. 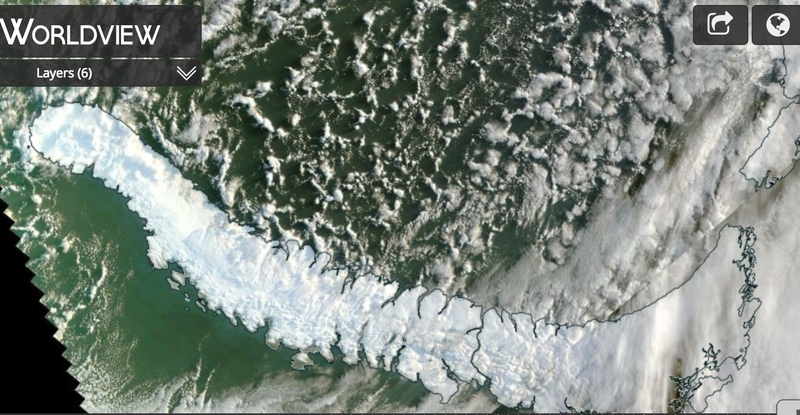 Kara sea next to Russia shore has lost a lot of sea ice, with remaining having greenish colours indicating melt ponds.. Note the 'goodbye waves' in the dark sea, precursor sea ice just about to completely melt and merge with sea water. 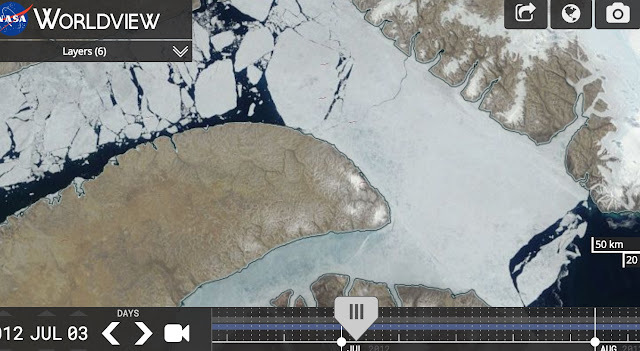 Novaya Zemlya region did not have time to have thick 1.5 meters sea ice. With very little sea ice at least till mid- February, most of the area was covered by March 9 with first year very thin fresh sea ice, this is observed by sea current and winds easily breaking thin sea ice up especially as seen in April. Come June there was no evidence of multi year sea ice migrations, it is just new sea ice. 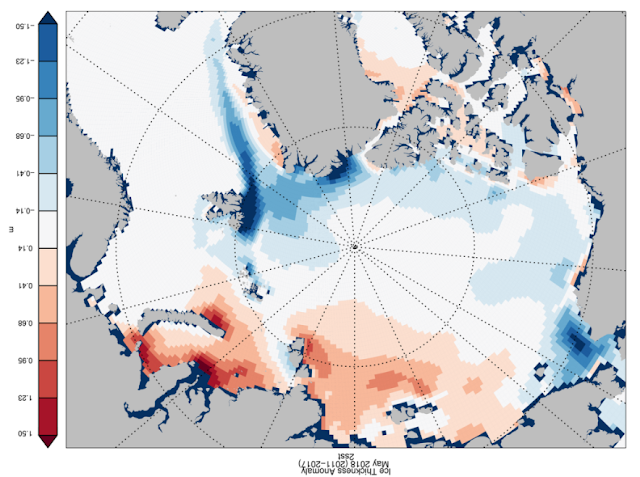 It is conservative to estimate that this ice had only 3 months to accrete, which is definitely not possible to thicken so quickly beyond 150 cm, consider sea water temperatures usually warmer there in Barents sea as well. Not possible at least in my experience, I estimate its thickness to be downwards of 80 cm given the lack of consolidation, also given a significant period of warmer surface temperatures and especially the apparent thick snow cover which masked its broken nature especially in April. First of all, there is extensive wide open water NE of NZ , secondly the flow is spectacularly lazy. no very extensive ridging is possible amongst open water! ~Just how does sea ice get thicker when temperature anomalies are warmer? As I recall, it was much warmer most of winter North Central Russia Arctic Ocean area , mostly more than +6 C warmer, mean temperatures would have been higher was it not until end of winter cooling. Yet the ice is supposedly substantially thicker, I wonder what would do that? But more snow of course, although there are no measurements for wide areas of the Arctic, precipitable Daily Composites water gives an idea. There is most likely more snow on the sea ice in the areas where the sea ice is proposed to be thicker, it would of course delay its melting, but also likely mask its thickness. ~ Is there any wonder why sea ice is in dire shape after more than a month of Gyre reinforcing steady anticyclone? ~All significant fronts show current devastation greater than same date 2012! 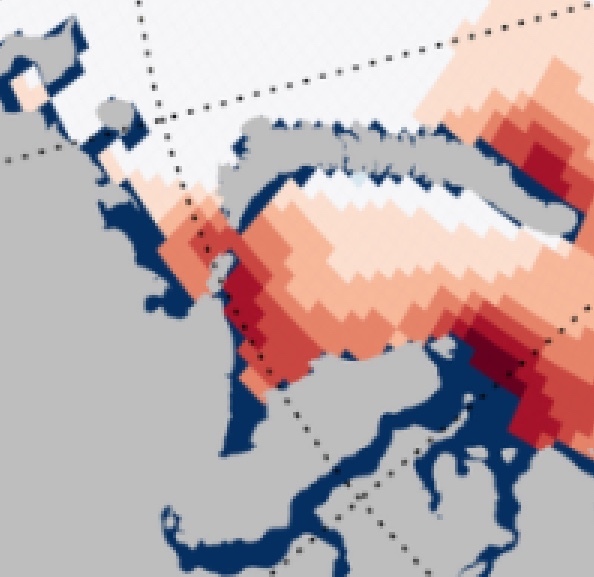 Beaufort sea, 2018 close to #1 shared with very warm 2016 and similar in circulation 2017.
forcing on the much darker already very warmed because of less winter sea ice Bering Sea. In retrospect 2013 was a very interesting year, despite a constant cyclone over the gyre area, this current still turned clockwise.